When fishing lead core, copper wire or weighted stainless wire the Albright knot is a good choice for connecting these sinking lines to fluorocarbon leaders and also monofilament or braid backing line. 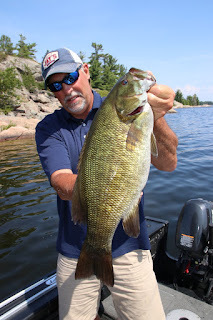 The ability to tie a good fishing knot is one of those skill sets that everyone heading out fishing needs to master. Apparently knot tying isn’t as interesting as lures, boats, motors, electronics and a host of other fishing topics, because rarely do anglers preach about knot tying skills. 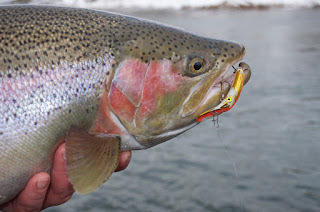 Ironically, it’s the fishing knot that insures the fish that bite, end up landed and gracing the pages of Facebook! Without at least a basic grasp of the common fishing knots and how to tie them, most of your fish stories will be focusing on the one that got away! Fortunately, the list of “must know” fishing knots isn’t a long one. Master the knots outlined here and you’ll be well equipped to hook and land everything that swims no matter where you wet a line. The improved clinch knot is easy to tie and without question the most common fishing knot out there. Frequently used to tie on small lures like walleye jigs, the clinch has good knot strength and will hold nicely when used on any monofilament, co-polymer or fluorocarbon line. The improved clinch knot works in a wide variety of fishing situations, but it doesn’t hold well on fused and super braid lines. This easy to tie knot is super strong and works great for all line types. Because braids and fused lines are slick not a lot of traditional knots will hold well with these super lines. The palomar knot is the exception and it holds great with all braids, fused lines, nylon monofilaments, co-polymers and fluorocarbon lines. The palomar is a “go to” knot for tying on snaps and swivels, single hooks and smaller lures like jigs or in-line spinners. Perhaps the strongest of all knot types, if you only learn one knot make it the palomar. The egg loop knot is a snelling knot that is easy to tie, super strong and it has the advantage of being useful for putting attractors like yarn on a hook. This knot is often used when fishing skein because the line can be backed up enough to form a loop that holds skein in place when the knot is pulled up tight. Steelhead, salmon and trout fishermen swear by this knot, but it has other uses. I use the egg loop knot to tie my walleye fishing nightcrawler harnesses. Again this knot is easy to tie and it allows two or three hooks to be snelled on a leader and space them perfectly every time. The Albright Knot is an obscure knot, but this knot is rapidly growing in popularity. The ideal knot for attaching any backing or leader material to a main line, this knot can be used in fly fishing applications, to attach mono or braid backing to lead core line, attaching backing to copper line or attaching fluorocarbon leader to lead core or copper trolling lines. Trollers swear by this knot and it’s easy to tie with a little practice, the knot is small and it passes easily through rod guides and also reel line guides. fused and also super braid lines. The double uni knot is a great way to attach small braids and fused lines to fluorocarbon leaders. Ideal for jig fishing with braids, this simple knot allows anglers to tie in a short invisible leader between their super line and the jig. This knot is also ideal anytime two different line types must be joined. When pulled up tightly, the double uni knot is small enough it slides right into and out of baitcasting and spinning reel line guides. No matter what knot an angler chooses to use, the strength of that knot can be increased by simply wetting the line before pulling the knot up tight. 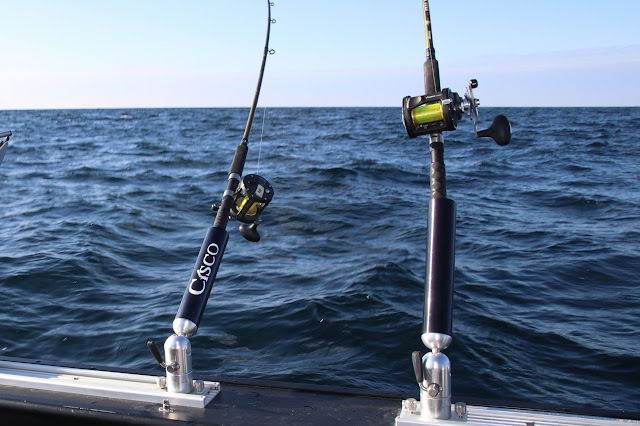 Line conditioning products also do a nice job of reducing memory in fishing line, especially stiffer lines like fluorocarbon and hard surfaced nylon lines. Also, to insure your fishing line retains it’s natural tensile strength, store your line in a cool, dry place away from direct light. A basement is the ideal place to store fishing line. A good pair of scissors is mandatory for cutting line and clipping tag ends short. The garden variety line clippers on the market work okay for monofilament, but they simply don’t have the cutting powers to handle fused or super braid lines. knowledge of fishing knots and what lines each knot works best with. The internet is one of the best places an angler can visit when trying to learn new knot tying skills. My favorite is www.animatedknots.com, but there are many others including www.netknots.com, and Fishing Knots 101, www.berkley-fishing.com. These sites and more make it very easy to learn to tie any fishing knot in a matter of minutes. After that, practice makes perfect.